On the occasion of the 26th session of the United Nations Human Rights Council, UNPO participated in a side-event on human rights violations against ethnic minorities in the Islamic Republic of Iran, to raise awareness of the discrimination Iranian minorities face on an everyday basis in all aspects of life. On Friday June 13, 2014, the Unrepresented Nations and Peoples Organization (UNPO) joined the Mouvement contre le racism et pour l’amitié entre les peuples (MRAP), the International Educational Development, Inc., the Society for Threatened Peoples, and the Women Human Rights International Association (WHRIA) in a side event on human rights violations against ethnic minorities in the Islamic Republic of Iran at the United Nations in Geneva. 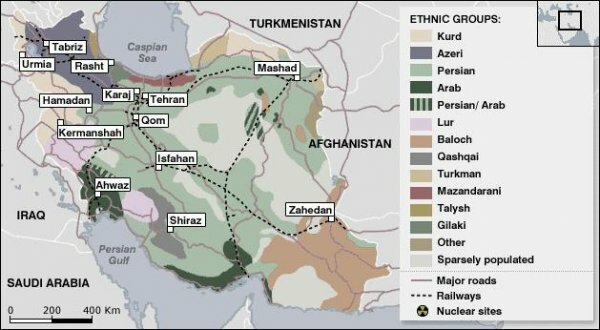 Iran is culturally a very diverse country, with many different religious and ethnic groups: Persians, Ahwazi Arabs, Azerbaijani Turks, Baloch, Fars, Kurds, Lor, Armenians, and Baha’I, to name a few. Yet, instead of celebrating this rich diversity, the Islamic Republic of Iran treats individuals belonging to minority communities as second class citizens and aims to assimilate them in order to have a homogenous Persian speaking, Shia population. Regardless of their rights, people who do not conform to this ideal are marginalized, excluded and prosecuted. Minorities in Iran also face economic marginalization. Unemployment rates, and the levels of poverty are generally higher in minority regions, even if these regions are in fact rich in resources. One of the reasons for this is that in order to get governmental positions, one must fulfil the criteria set out by the government, including religious criteria. Next to this, land confiscations, and deliberate poor management of water resources and agriculture are also common in minority regions. In addition to economic and environmental issues, the rights of minorities to express their culture, religion, and use their language are violated. While the use of regional and tribal languages is allowed in public spaces according to the constitution, in practice this is not the case; activists are even executed or imprisoned for practicing this right. Additionally, the constitution of Iran endorses Shia Islam as the country’s ‘national’ religion, and only recognizes a few minority religions. Other religions, including Sunni Islam, officially do not exist. In Tehran, permission has not been granted to build a Sunni Mosque for the one million Sunni inhabitants of the city. When minorities criticize these practices and speak up for their rights, they are ruthlessly repressed. Those who are critical of the regime are enforcedly disappeared, arrested and imprisoned, forced to confess on national TV, and even executed for “enmity against God, or, Moharebeh”, or conspiracy against the Islamic Republic of Iran. The situation under Rouhani has not improved; in fact, the number of executions of individuals belonging to minority communities has increased. Amid the debates about the nuclear issue, the international community must not lose sight of the grave abuses of minority rights in Iran.